needs of your 4 or 5 year old child? 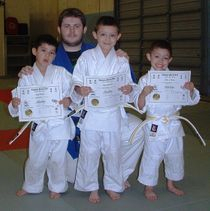 Then the Champion Little Ninjas Program is perfect for your family! While the curriculum is age specific and developmentally appropriate, fun and fitness are the main focus of the class! 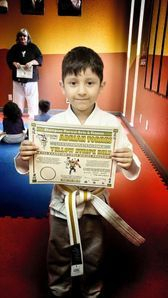 Drawing on techniques from Shotokan Karate and the Olympic Sport of Judo, our Little Ninjas activities will keep your child physically fit, as well as help them improve balance and coordination. This curriculum will also teach them the value of teamwork, good conduct, and trying their best in everything they do. In turn, this will increase their self-esteem, self-confidence, and enjoyment of class! the Champion Karate or Judo program!